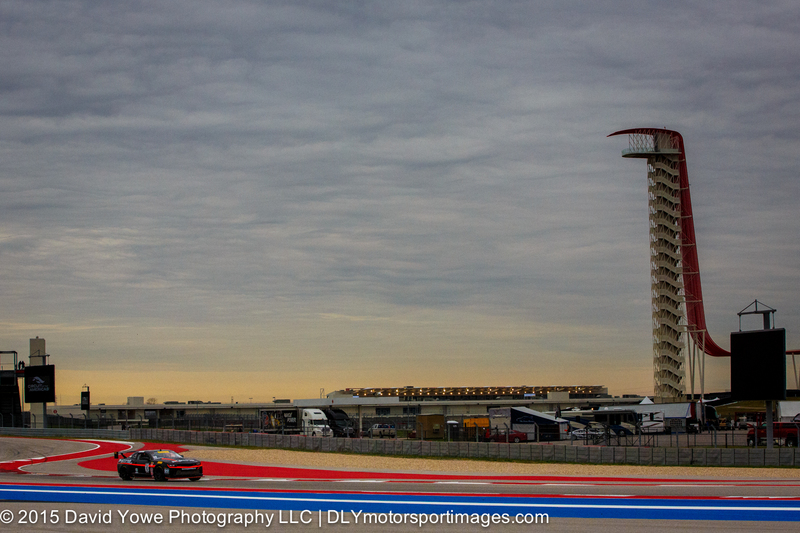 Here’s a wide shot of the “straight lines and curves” at the first part of the Esses from Turns 3 to 4. 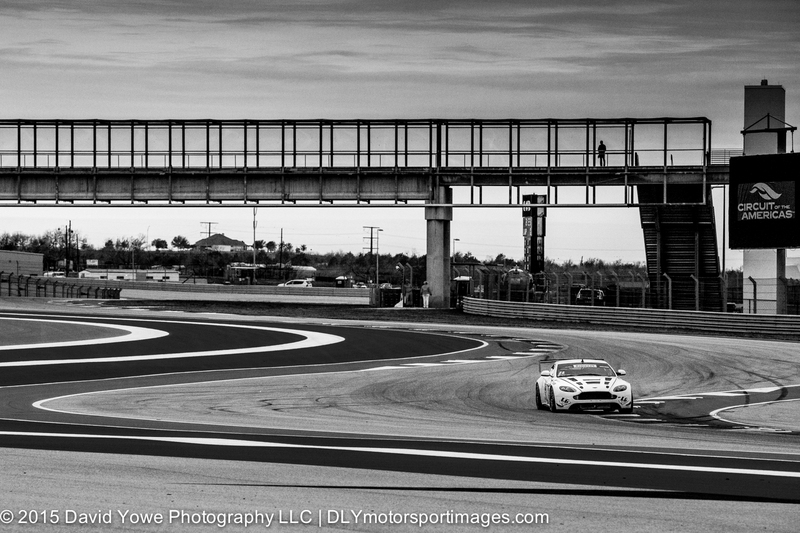 Thought black and white would help to “set the scene” with the overcast conditions. 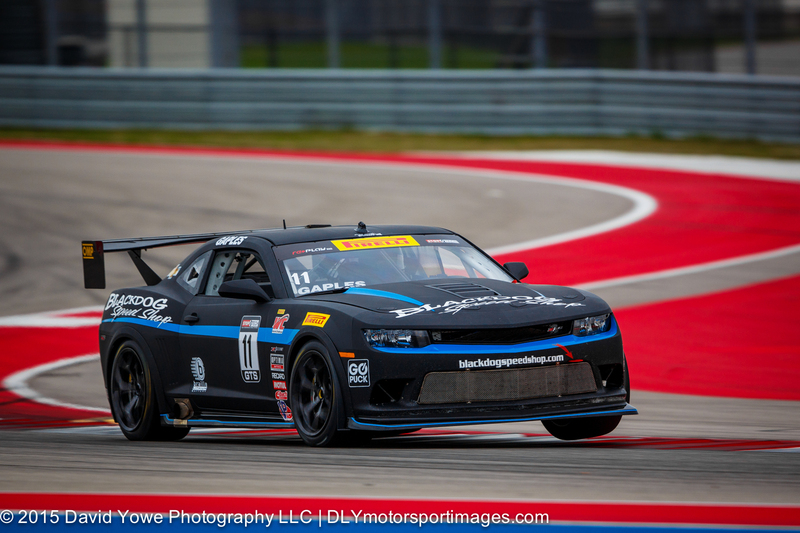 Into the “Esses” with Michael Cooper in the #10 Blackdog Speed Shop Chevrolet Z28. Really liked the early morning light, despite overcast conditions. 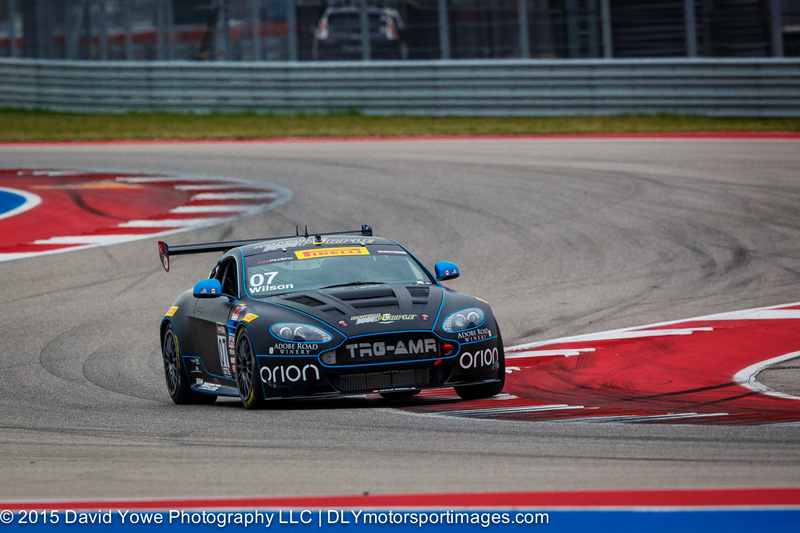 Pole position with a fastest lap of 2:15.943 (90.037 mph) went to Kris Wilson in the #07 TRG-AMR Aston Martin Vantage GT4. Dean Martin in the #50 Rehagen Racing/Picture Cars East Ford Boss 302 qualified second with a time of 2:16.495 (89.673 mph). 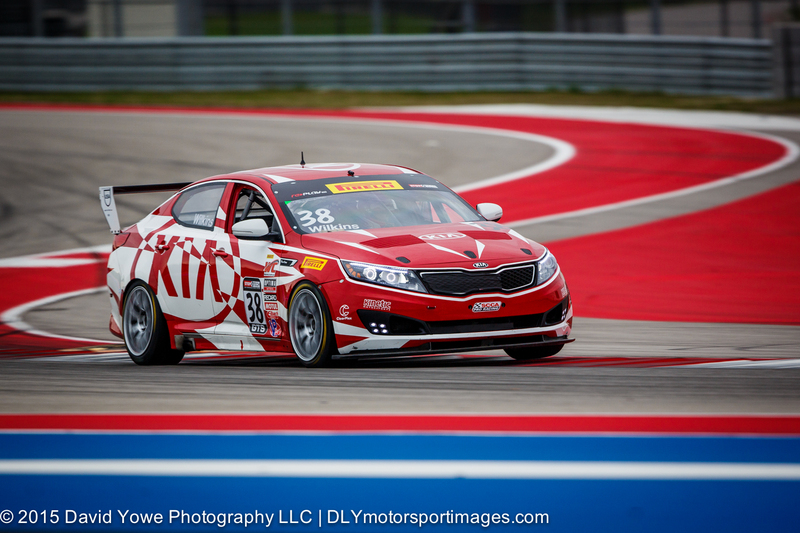 Third best qualifier was Mark Wilkins in the #38 Kinetic Motorsports/Kia Racing Kia Optima with a time of 2:17.003 (89.341 mph). Really liked the left-hand front tire lift on the #11 Blackdog Speed Shop Chevrolet Z28 driven by Tony Gaples. 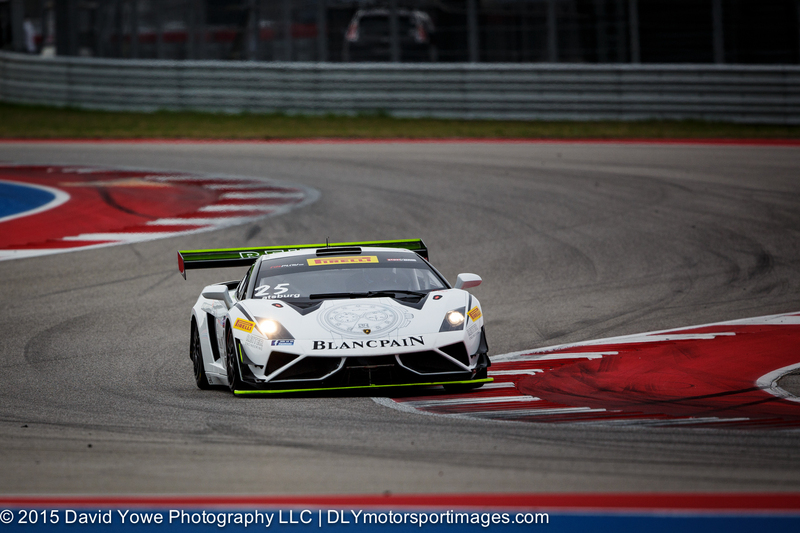 Top qualifier for the GT class was Nick Catsburg in the #25 Reiter Engineering Lamborghini Gallardo with a fastest time of 2:04.257 (98.505 mph). 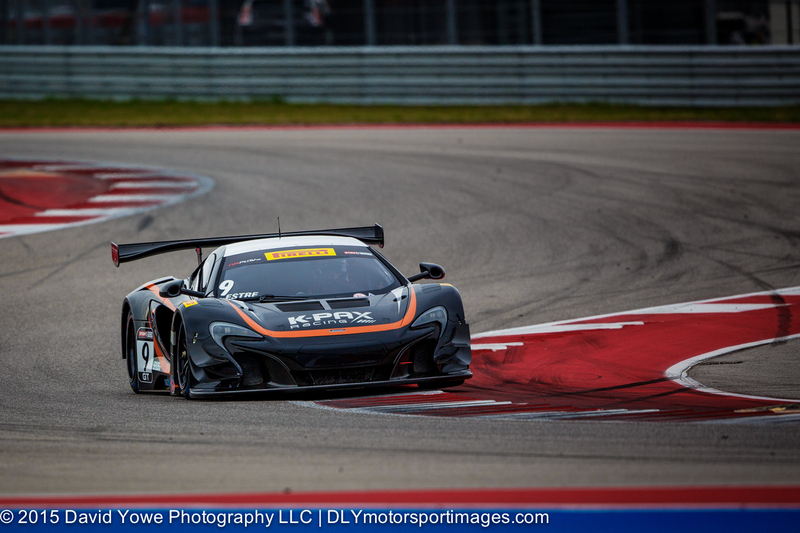 The #9 K-PAX Racing McLaren 650S GT3 driven by Kevin Estre looked awesome and was second fastest with a time of 2:04.364 (98.420 mph). 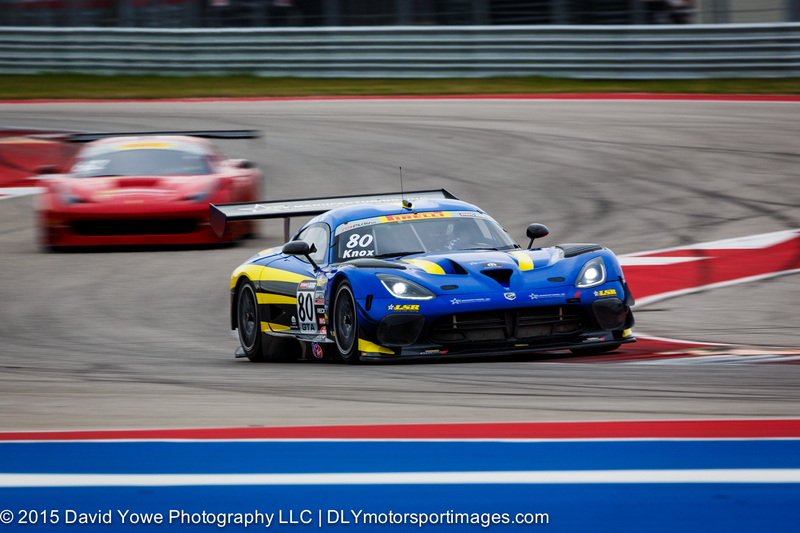 Really liked this shot of the #80 Lone Star Racing SRT Viper GT3R driven by Dan Knox. 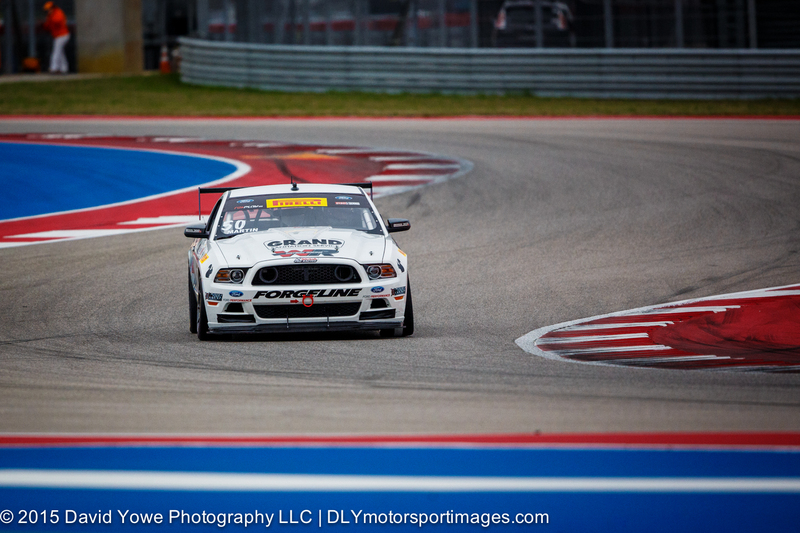 After shooting the start of GT qualifying, headed down to Turn 7. 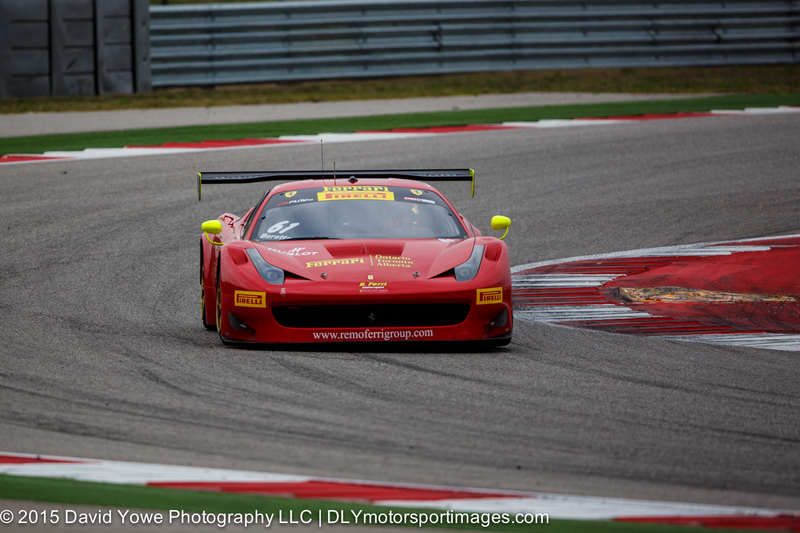 Here’s third place qualifier Olivier Beretta in the #61 R. Ferri Motorsport Ferrari 458 GT3 Italia taking the left-hander. 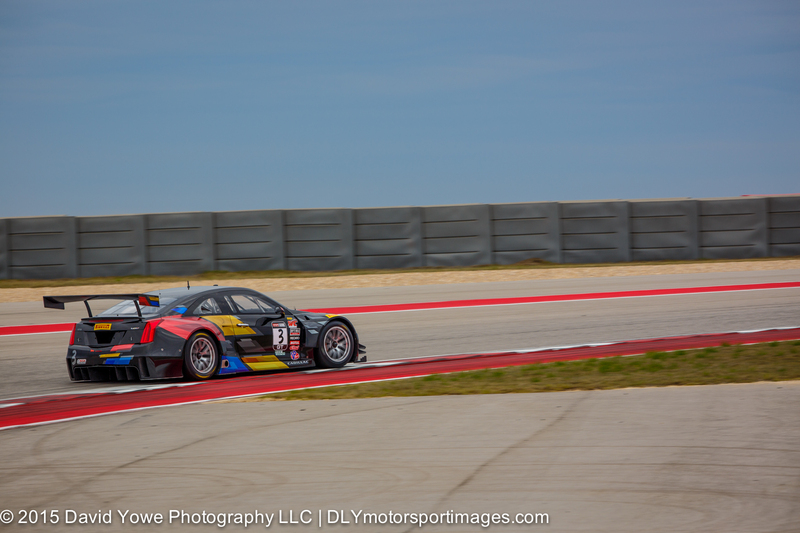 To finish off the qualifying session, here’s Johnny O’Connell in the #3 Cadillac Racing Cadillac ATS-VR GT3.